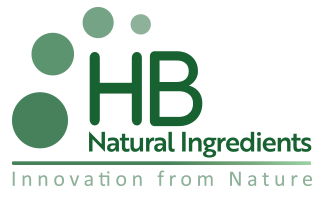 HB Natural Ingredients has assembled an industry renowned board of directors and management team to propel rapid growth based on a technology foundation, an integrated sustainable supply chain and a robust innovation pipeline. Mr. Li is the founder of the BGG Group, which has operated globally for nearly twenty-five years, providing natural, functional ingredients used in a wide range of consumer products. He is also the Co-Chairman of the BGG-Solix Combination. Mr. Maguire provides wide-ranging global business leadership skills, including specialty ingredients and sweeteners. He is the Co-Chairman of the BGG-Solix Combination. Previously, he was the Chief Executive Officer of Solix Algredients, President of Calera Corporation and President of Tate & Lyle Sucralose, where he led the global SPLENDA® Sucralose sweetener business. Mr. Nelis is a procurement and supply chain leader. He is the Vice President Group Procurement for SGS, the world’s leading inspection, verification, testing and certification company. Previously, he was Chief Procurement Officer of Givaudan, the world’s leading flavor and fragrance company, and Vice President Procurement of Roche Pharmaceuticals.